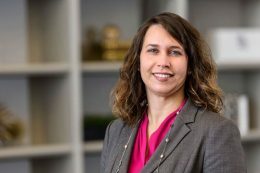 Christine Mayhew is an attorney with Anderson Jones, PLLC, practicing litigation with a focus on employment and general commercial litigation. She represents clients in all types of employment disputes involving state and federal employment laws, such as Title VII, Age Discrimination in Employment Act (ADEA), Americans with Disabilities Act (ADA), Fair Labor Standards Act (FLSA), Family and Medical Leave Act (FMLA), Uniformed Services Employment and Reemployment Rights Act (USERRA), North Carolina Wage and Hour Act, and the North Carolina Retaliatory Employment Discrimination Act (REDA). In addition, Christine has successfully handled numerous unemployment proceedings and has drafted and negotiated various types of employment contracts, including employment and severance agreements, confidentiality agreements, and non-compete agreements. A native of Florence, S.C., Christine resides in Raleigh, N.C., with her husband and two children.